Why buy chemical filled mosquito spray or coils when we can actually utilize mother nature's contribution, natural Citronella Oil by Ancient Living, to repulse insects. When used in a vaporizer, the powerful scent of Citronella oil repels mosquito and flies naturally. The fresh, citrusy aroma of this amazing oil can uplift mood and revitalize the mind. 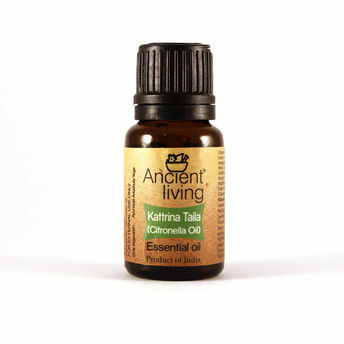 Citronella enriched with cicatrisant oil which is great in forming and healing scar tissues when applied topically.